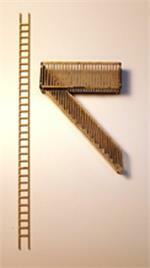 Easy to build Fire Escape. No more struggling to put in one step at a time! Laser cut with acrylic steps! 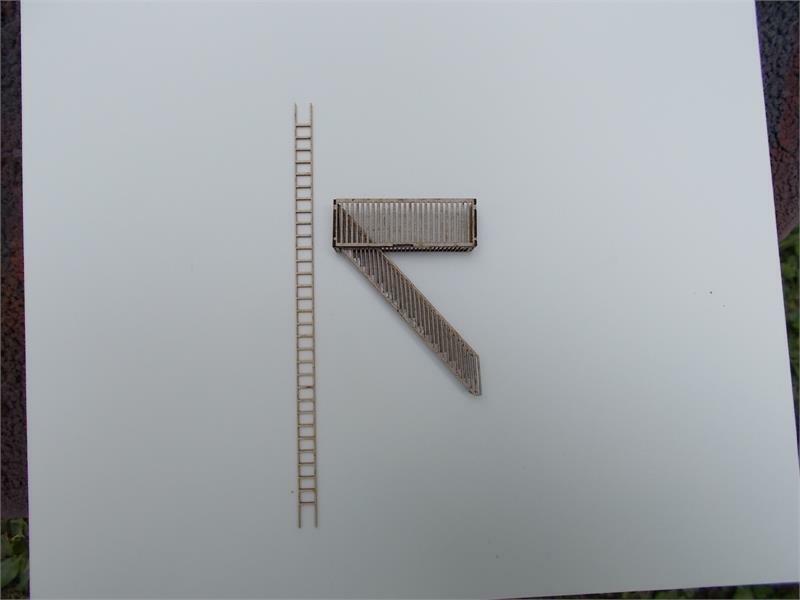 These fire escapes can be used for several applications. Steps can be placed to angle down to the left or right. 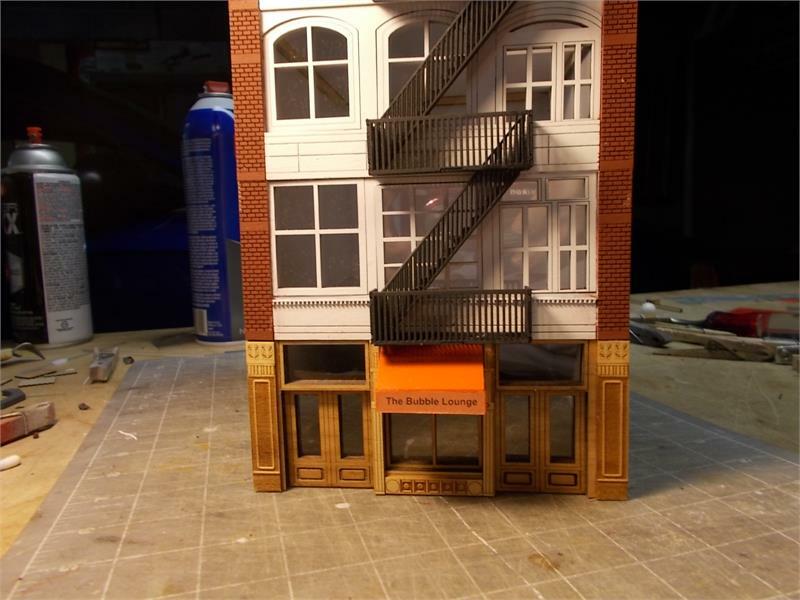 Combine with other sets for taller buildings. Footprint: Ladder 7.5", Stairway (at a 45 degree angle) 2.75", Safety Cage 2.75" L x .75" Wide.